Charm bracelets never go out of style. Here’s a modern take on a timeless classic. Do you or a friend surf in Montauk, shop in East Hampton, bike in Water Mill, or attend the Hampton Classic? This special charm bracelet, which comes in sterling silver, gold vermeil, and 14k solid gold, makes the perfect gift for any East Ender. Every link of this beautiful bracelet opens for instant attachment, making adding or taking off new charms a cinch. Each piece of jewelry, made in Italy, comes in a richly packaged signature Jet Set Candy box or bag. 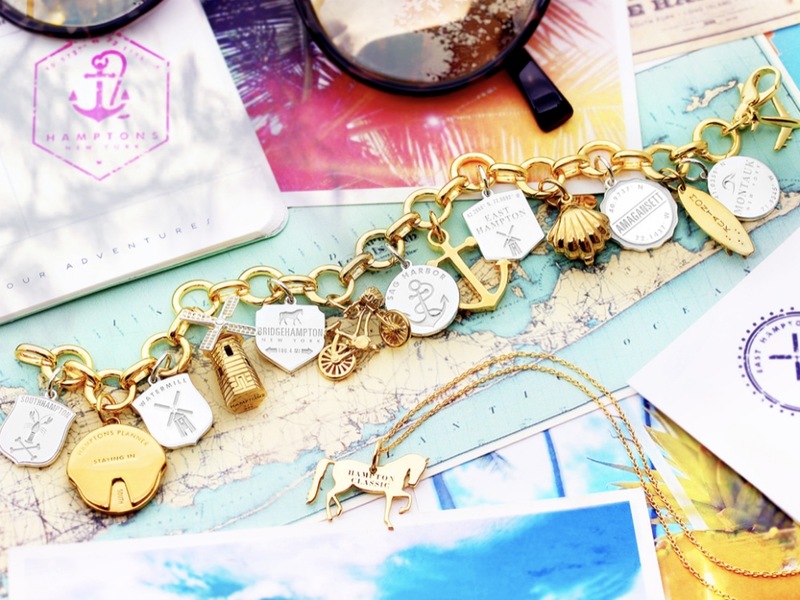 From Aspen to Palm Beach to St. Barths and beyond, Jet Set Candy has charms for every destination you love. For more on Jet Set Candy or its stylish charm bracelets, visit jetsetcandy.com.